How often have I looked on enviously as a Taekwondo or Karate practitioner lifted her or his knee up the side of the body finally extending – slowly for all to see – the rest of the leg straight up along a perpendicular line, ninety degrees off the floor, leaving the leg up at that incredible angle just so that the rest of us landlubbers wouldn’t forget too soon. Bill Wallace, the American Karate/Kickboxing phenomenon, who is still active in his 70s, would cross the Dojo floor on one leg previously injured in Judo, snapping out high roundhouse after high roundhouse without dropping his leg back down to terra firma. Apparently, Wallace stretched a minimum of one hour a day. I used to seesaw in my opinion of high kicks, and not just from jealousy. 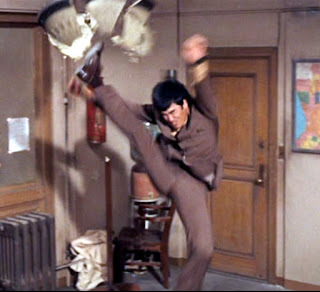 I’d ask myself: “Are they really necessary?” “Are they worth the effort?” When Park Jong Soo arrived in Toronto, I gained a healthy respect for high kicks. Park had an arsenal of kicks that were spellbinding to witness not just for their gymnastic dimension but for their brutal realism. In short, they worked. I recall also Mike Warren and Albert Cheeks coming up from the U.S. to fight as well as to demonstrate. And of course, there was Wallace. Taekwondo, I found, could slice and dice an opponent with high kicks from all sorts of unpredictable angles, some at remarkably close range. To the contrary, I’d like to have said that “by the time you bring that kick back down, I’ll have punched you a dozen times” but, as logical as that might have sounded, old school Taekwondo speed just didn’t want to co-operate. Some of us also held the view that “if I can get inside their kicks, I can take them down”. It sounded good, but getting past the network of kicks was another story altogether. I did have a wrestler and a Taekwondo tournament fighter as students once. Sure enough, the wrestler was at a disadvantage at any range that wasn’t close in; the Taekwondo stylist immediately lost ground when the wrestler came in close. But that is just one example. One can’t establish an overall case with just one example. On the other side of the fence is Tan Tuei, the martial art from Northern China, and its famous mainstay form, either with ten or with twelve segments, an important set of movements taught in the old Ching Mo school. We do the set in My Jong Law Horn Kung Fu. 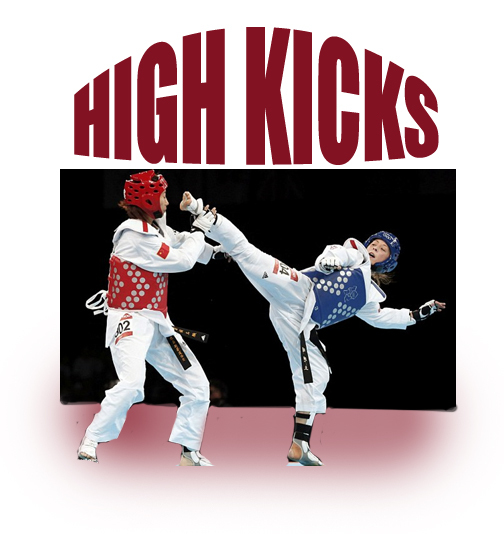 Some practitioners kick somewhat higher; I was taught to kick low, to attack the opponent’s foundation. For me, if I kick high, I find that I can’t use my hands at the same time. The expression “northern kicks, southern hands” is indeed applicable to some demonstrations but I’ve found the northern systems like Tan Tuei and Eagle Claw and especially Mantis, involve not just their legs but their hands at the same time which requires that the kicks be kept low. And there aren’t too many southern styles that refuse to add low kicks to their methods of attack either. My thoughts nowadays have changed. I don’t swing back and forth from the “high kick good” to the “high kick bad” side of the debate, if that debate still lingers within the martial arts world. I go more by respect: the best high kickers, and this includes everyone from Savate to Kyokushin Karate, don’t limit themselves. If they require low kicks, they’ll use low kicks. If they require the use of their hands, they will surely do so. Just because there is an old saying: “Taekwondo is seventy per cent legs, thirty per cent hands” doesn’t mean a Taekwondo practitioner can’t punch. A Taekwondo fighter is a fighter; a Tan Tuei fighter is a fighter. We adapt to what we enjoy doing, and we learn to adapt our skills to our capabilities. And in the end, we respect each other. It is a very infesting blog. 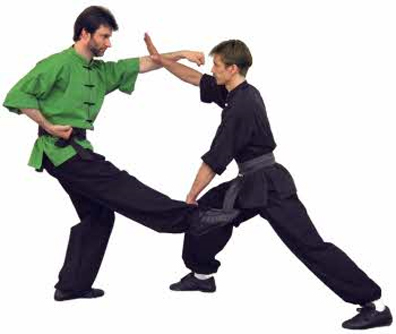 Martial art has taken over many of the fight style. I prefer martial art as I feel it a game of mind. Both girls and boys can venture this art.